Do you know if the game Nick Neaker has been preserved? 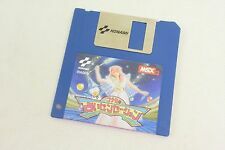 According to some MSX magazines it was released by Microbyte in cassette and cartridge formats. Maybe dumped but not made yet available on the net. I can see very clear screenshots on Generation MSX, and the format 640x480 suggests that they have been made with openMSX. 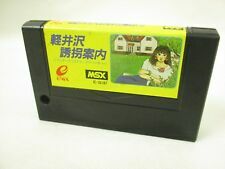 Do you have any 'evidence' that the game was ever released for MSX? Who has put the infos on Generation MSX ? I just found out it's there. It's also on Tagoo. As far as I can see, it has been on GenMSX as of 2006 and I don't see names at the images. I can tell that I don't seem to have this software though. I had never heard of it. I have the game now, but it's a .bin file on a collection disk, so no real tape dump. In which collection disk? MSX Mania maybe?